Pinterest is the name on the lips of digital advertising execs, brands and just about everyone else in the marketing industry today, as the popular social networking site prepares to launch its much talked-about ad business. The rollout is planned for the second quarter, according to The Wall Street Journal, which notes that there is “pent-up demand” among brands seeking a comfortable seat on the Pinterest bandwagon. Marketers see a huge opportunity in partnering with the scrapbooking site to seamlessly weave promotional content into its platform, which seems tailor-made for such advertising with image-focused posts in categories like apparel, home goods, food and travel destinations. On other sites, especially Facebook, ads do not appear to be appreciated in the same way. Pinterest announced plans to test a promoted unit product with a select group of undisclosed businesses in September as it dipped its toes into advertising for the first time. Ben Silbermann, CEO of the social media company, said then that the paid pins will be relevant to users' interests and transparently marked to visually differentiate them from organic content. Also, he said, there will be no banners and pop-ups. Some point to other areas in which Pinterest and brands need to be thoughtful. For example, it would be OK to feature Hellmann's brand messaging in a promoted pin, but better to post a recipe featuring Hellmann's, Jennifer Gardner, Unilever's director of media investment partnerships North America, told the Journal. San Francisco-based Pinterest also has a reported 24 job openings within the company’s business division—including key partnerships jobs in New York, Los Angeles and Chicago—that come with “the tantalizing prospect that getting hired might include some pre-IPO shares in the Silicon Valley startup,” according to another Journal report. 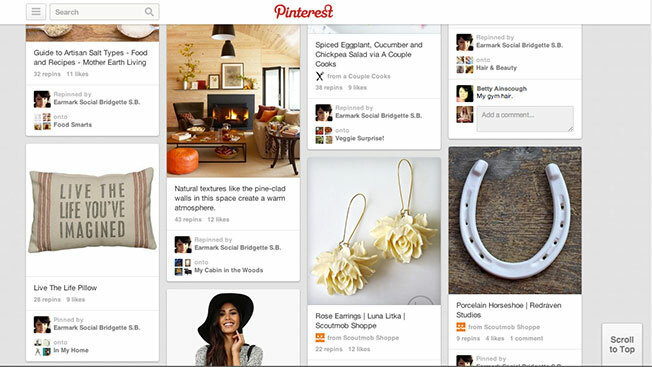 Pinterest’s valuation has been estimated at $3.8 billion.